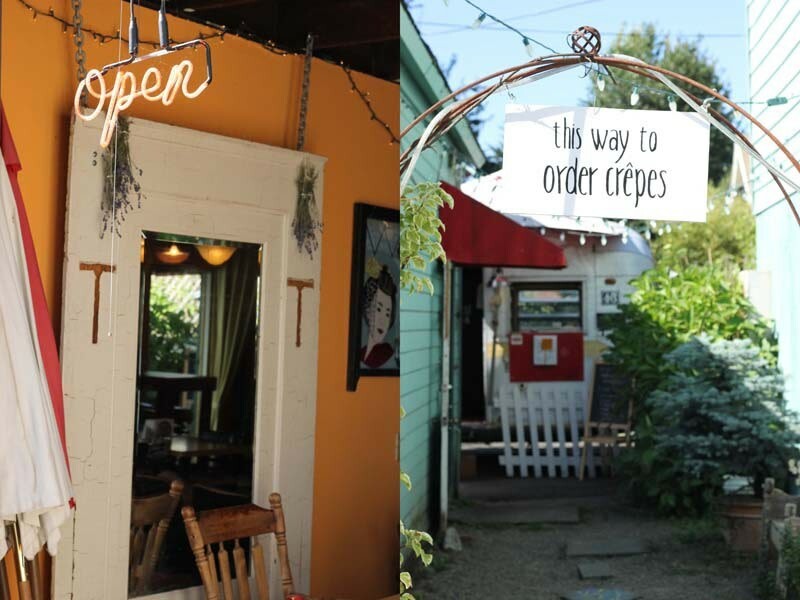 In all my months spent pottering around France past innumerable crêpe stands in Paris and middle-of-nowhere farmhouses in Normandy, I never tasted a crêpe quite like the one at Suzette on NE Alberta Street. That’s probably because chef Jehnee Rains (Bluehour, Ripe, Clarklewis) has been perfecting her delicate batter since her days working with Alice Waters at Chez Panisse in Berkeley…and it shows. 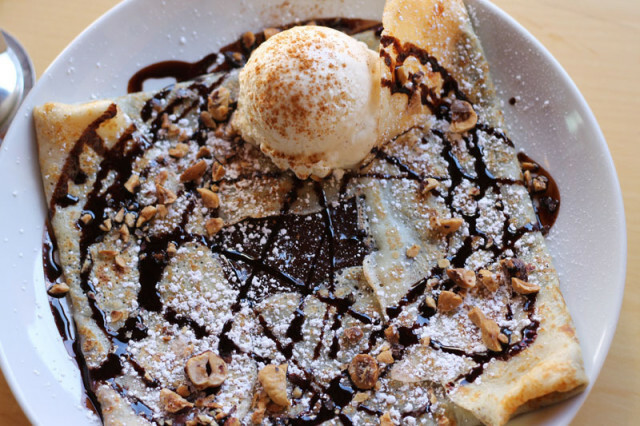 Suzette has emerged as Portland’s premier crêpe stop, with sweet and savory options and from-scratch everything, including jams to ice creams. Options are cleverly varied, with Rains’ specialty combinations as well as thoughtful vegan crêpes, kids crêpes, and create-your-own crêpes from a list of cheeses, proteins, and toppings, plus a small selection of beer and wine and house drinks, from lavender lemonade to cocoa. No matter where you start, you are entering into the folds of deliciousness. 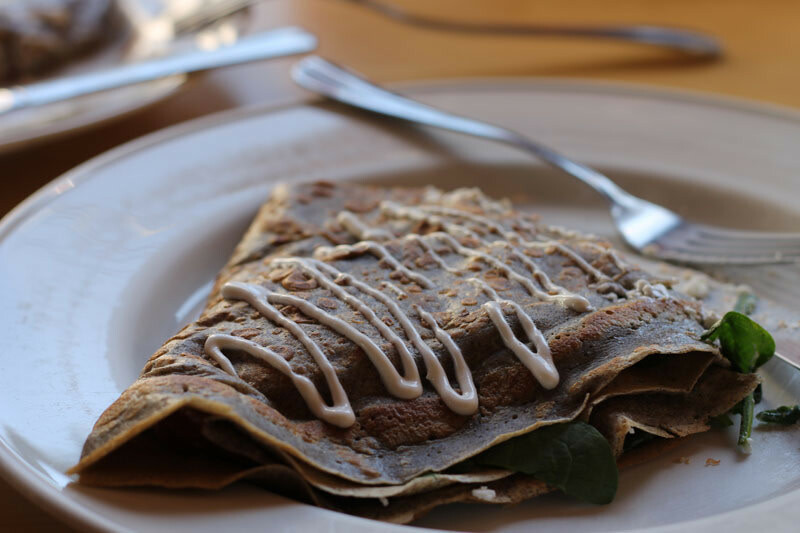 Rains’ savory crêpes, folded in an earthy, bold buckwheat wrapper, are significant—not the dinky, two-dimensional to-go snacks often found at crêpe counters. Suzette’s "Goat Pig Fig" is stuffed to the edges with salty prosciutto, creamy gobs of goat cheese, and slices of marsala-soaked fig ($7). The "Smoked Salmon" is brimming with layers of smoky fish, brined capers, leafy spinach, and more goat cheese, all sandwiched beneath the buckwheat’s dark tones ($8). But Rains’ past as a pastry chef is revealed in sweet options, and with the help of a secret ingredient (hint…it’s lager; yes, beer! ), they arrive as sensual, lacy dessert crêpes ($6.50-$7.50). The “Chocolat” is a cocoa lover’s dark fantasy, folded like a sweet envelope, filled with Rains’ homemade Nutella (roasted hazelnuts, bittersweet chocolate, Frangelico), and laced with ebony chocolate sauce. On top: a scattershot of candied hazelnuts and a melting dollop of homemade cinnamon ice cream. Unreal. Speaking of ice cream, Suzette churns out a rotating roundup of flavors, from pink peppercorn-fresh basil to red wine strawberry sorbet, also available in cones or cups or as sundaes. If the cinnamon was any indication, we’ll be back for more. 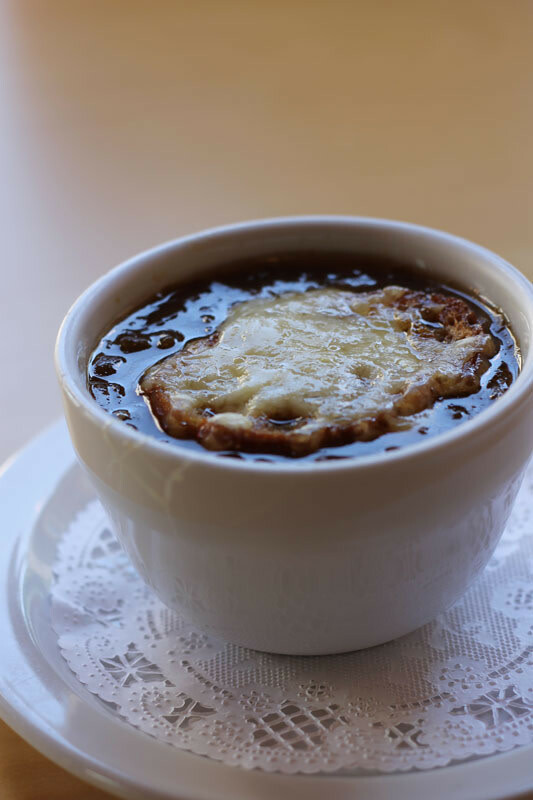 Even the French onion soup ($3), while admittedly not the best choice for August, is exceptional: rich, tangy beef broth swimming with sweet bites of caramelized onion and an oversized crouton bronzed with Gruyere. File this option away for cooler weather. To call the space eclectic is an understatement. A gravel path on the right side of the building leads you to an enormous silver airstream trailer in the back—that’s where the magic happens. After placing your order, you are directed to the side door of Suzette’s, housed in a century-old carriage house. The interior, painted a bright pumpkin-orange, is scattered with a deliberate hodgepodge of old typewriters, ancient telephones, and Christmas lights. The whole thing feels very taqueria-esque, especially with Son cubano drumming in the background. This is at least the third incarnation of the space, originally the critically loved Fold Crêperie—one of Portland’s original “street food” mavericks—and later Tour de Crêpes. Right now, Suzette is making its own statement, cooking up what’s arguably Portland’s best edible origami in a cozy, colorful atmosphere. One bite of these silky crêpes, and you’ll forget you’re eating at a glorified food cart.